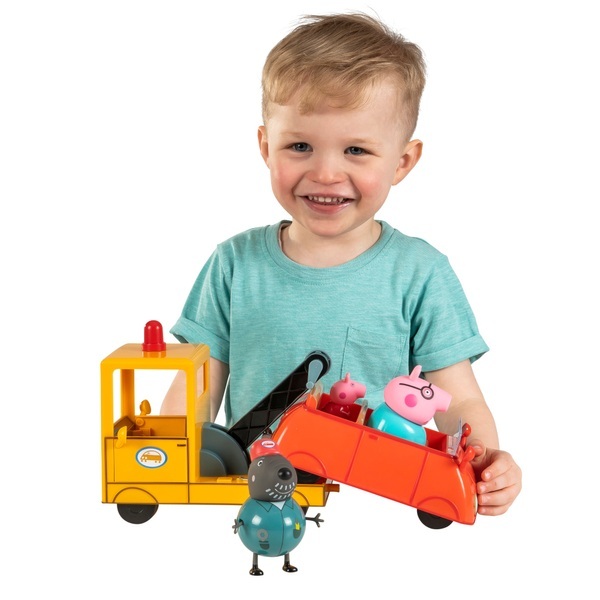 This Peppa Pig Grandad Dogs Recovery Set is ideal for your little Peppa fan. Help Grandad Dog rescue Daddy Pigs car again an again , with his pick up truck. Grandad Dog saves the day!